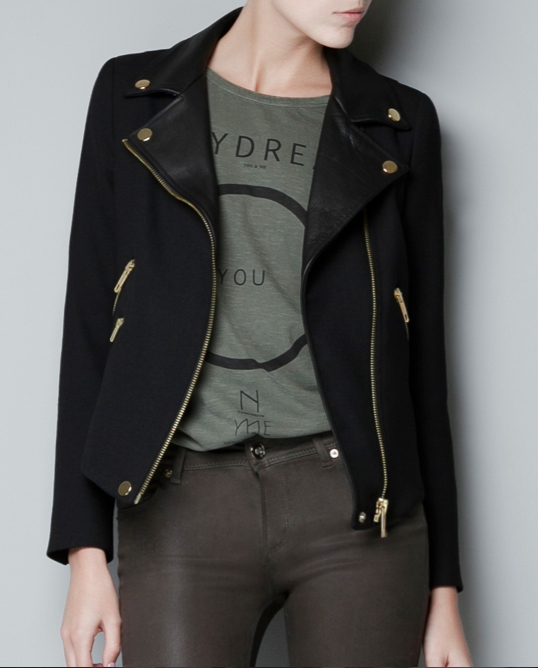 Four members of my extended family just purchased this leather-trimmed Zara biker jacket. Such is the greatness of this fall-ready piece. What makes it so alluring is the hefty gold hardware, the feminine cropped fit, the lightweight October-friendly wool and, of course, the $129 price tag. Zara has yet to disappoint. I'm wearing a pair of their pumps right now. Can you believe they are such a well-run company to boot we studied them in business school? What size did you get?? Love it! So classic and chic! I want one too.